Theologically, the Church of the East still adheres to the Church of the East’s traditional Christology, that is often labeled as Nestorian. The use and exact meaning of that term was the subject of many debates, not only throughout history but also in modern times, since Church of the East has distinctive views on several christological questions and claims that its theological doctrines and traditions are essentially orthodox, while admitting the need for further inter-Christian dialog that would resolve various questions in the field of comparative Christological terminology. Unlike most other churches that trace their origins to antiquity, the modern Church of the East is not in communion with any other church. 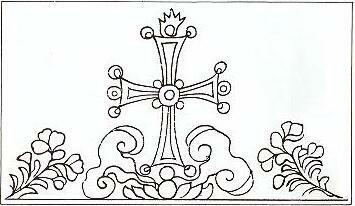 The Christology of Church of the East has its roots in the Antiochene theological tradition of the early Church. The founders of theology are Diodorus of Tarsus and Theodore of Mopsuestia, both of whom taught at Antioch. ‘Antiochene’ is a modern designation given to the style of theology associated with the early Church at Antioch, as contrasted with the theology of the church of Alexandria. Antiochene theology emphasised Christ’s humanity and the reality of the moral choices he faced. In order to preserve the impassibility of Christ’s Divine Nature, the unity of His person was defined in a looser fashion than in the Alexandrian tradition. The normative Christology of Church of the East was written by Babai the Great (551–628) during the controversy that followed the 431 Council of Ephesus. Babai held that within Christ there exist two γνώμη (essences or hypostases), unmingled, but everlastingly united in the one prosopon (personality). The precise Christological teachings of Nestorius are shrouded in obscurity. Wary of monophysitism, Nestorius rejected Cyril’s theory of a hypostatic union, proposing instead a union of will. Nestorianism has come to mean radical dyophysitism, in which Christ’s dual natures are eternally separate, though it is doubtful whether Nestorius ever taught such a doctrine. Nestorius’ rejection of the term Theotokos (‘God-bearer’, or ‘Mother of God’) has traditionally been held as evidence that he asserted the existence of two persons – not merely two natures – in Jesus Christ, but there exists no evidence that Nestorius denied Christ’s oneness. In the controversy that followed the Council of Ephesus, the term ‘Nestorian’ was applied to all upholding a strictly Antiochene Christology. In consequence the Church of the East was labelled ‘Nestorian’, though its theology is not dyophysite.